Taking advantage of the beautiful summer light, I took photos of some digital and handprinted textiles outside last week. Here are some past and future collections in the works. 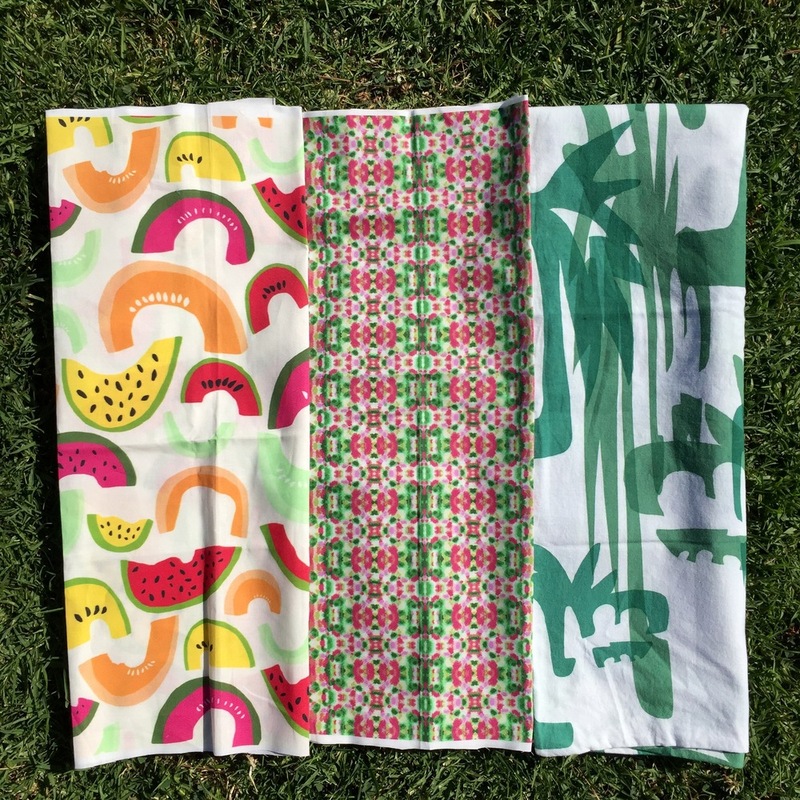 The digitally printed fabrics were printed through Spoonflower. If you have never heard of them be sure to check them out for all your digital fabric and wallpaper printing needs!